Offering you a complete choice of products which include grain milling system. To meet the diverse requirements of our esteemed clients, we are offering Grain Milling System. The machine is widely used to grind grains like wheat, rice, millet, cereals, and corn into its flours. 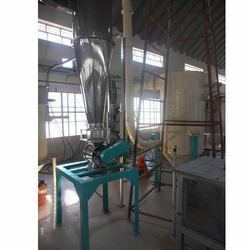 The offered machine consists of cleaning, grinding, sieving, and packing system which is controlled by a centralized control panel. The offered product is famous in the market for its high efficiency, durability, and corrosion resistance. Moreover, our esteemed customers can avail this milling system at an economical price.